This entry was posted on June 12, 2017 by Nick. 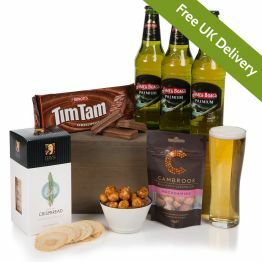 Spoil him this Father’s Day with an indulgent beer hamper, filled with the finest lagers and ales. 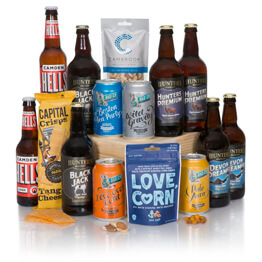 Hamper.com chooses both traditional favourites and unique craft beers to go into our fantastic beer hampers. If you can’t find the perfect gift for him this Father’s Day, then discover our full collection of beer gift hampers. 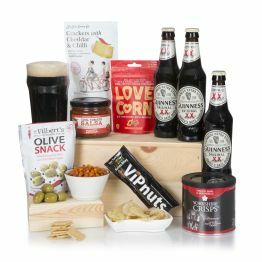 If he likes everything hot and spicy, then he’ll love this delicious beer and cheese hamper. Enjoy four bottles of refreshing Corona beer, perfect for cooling off after the chilli nuts, rice crackers and truffles included in this wonderful gift. 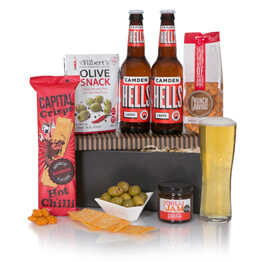 Beautifully presented in an open gift tray, he’ll love the Hot ‘n’ Spicy with Beers gift this Father’s Day! This hamper is one of our most popular beer gifts and it is easy to see why! From delicious olives to crunchy rice crackers, he’ll love the wide range of treats. 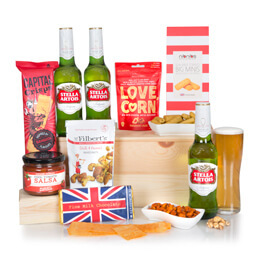 The tasty nibbles in this gift are accompanied by four bottles of Budweiser, perfect for celebrating Father’s Day. If your dad, stepdad or grandad is a beer lover, then he’ll love the Best Bud Beer Hamper! If you’re looking for an alternative to traditional supermarket beers, then this collection of craft beers is the perfect gift for Father’s Day! Different to your usual lagers and bitters, the three craft beers in this hamper are ideal for the real ale drinker! Sourced from Hunters Brewery, each of the ales has a unique and earthy taste in The Craft Beer Collection. Celebrate Father’s Day with this fantastic gift that combines two wonderful treats, cheese and beer! 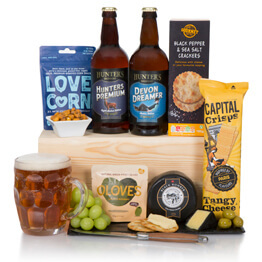 Featuring unique craft ales from Hunters Brewery that are perfectly accompanied by Snowdonia Cheese Co Black Bomber extra mature cheddar cheese and a range of snacks, including olives, breadsticks and crisps. 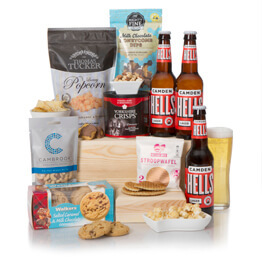 Treat him this Father’s Day with the Craft Beer, Cheese and Snacks hamper. 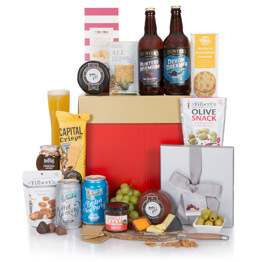 All the hampers in our collection are eligible for free UK next day delivery, allowing you to buy the perfect gift even if it’s the day before Father’s Day! Discover our full range of Father’s Day gift hampers now. Hamper.com doesn’t just deliver gifts to the UK, sending hampers to destinations all over the world. America, Canada and Australia are just some of the countries that we visit with our worldwide delivery service.